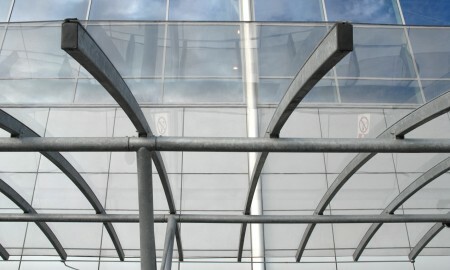 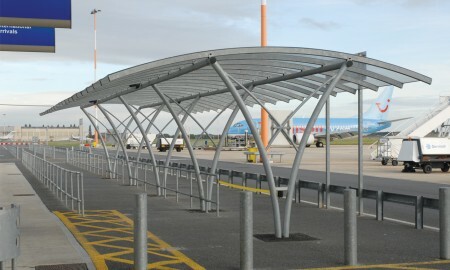 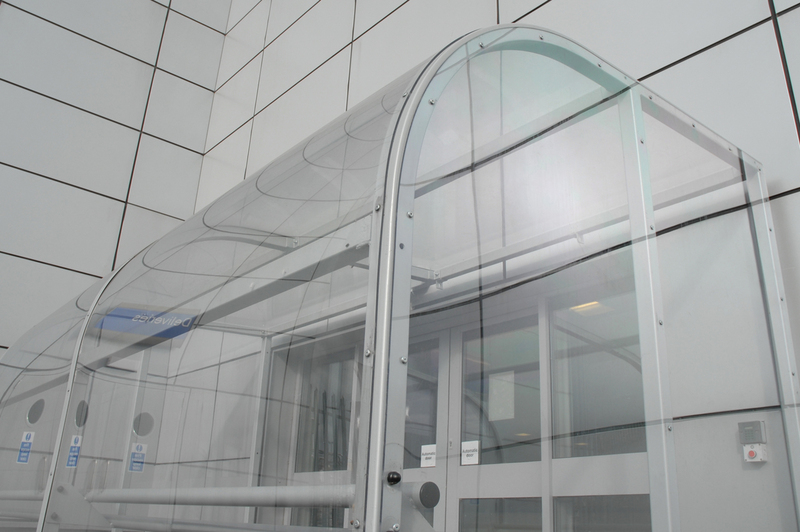 Broxap were commissioned by the Airport to provide two different types of canopies. 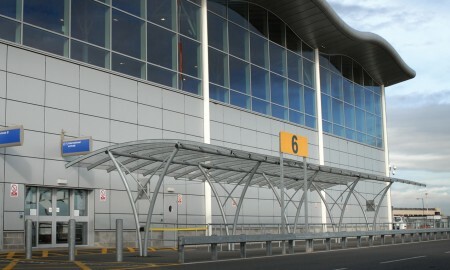 The first was to provide shelter to passengers waiting outside the arrivals terminal. 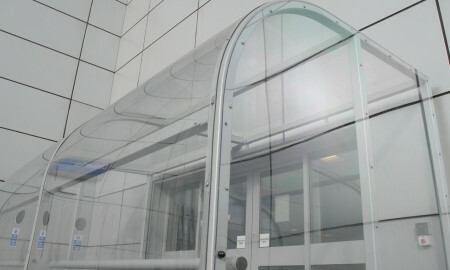 The canopy need to be functional as well as nestle aesthetically next to the existing building. 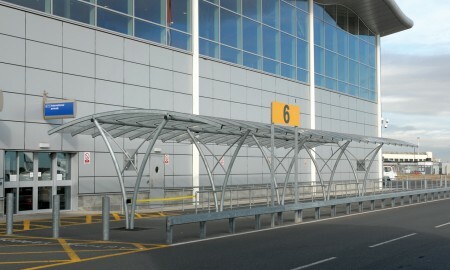 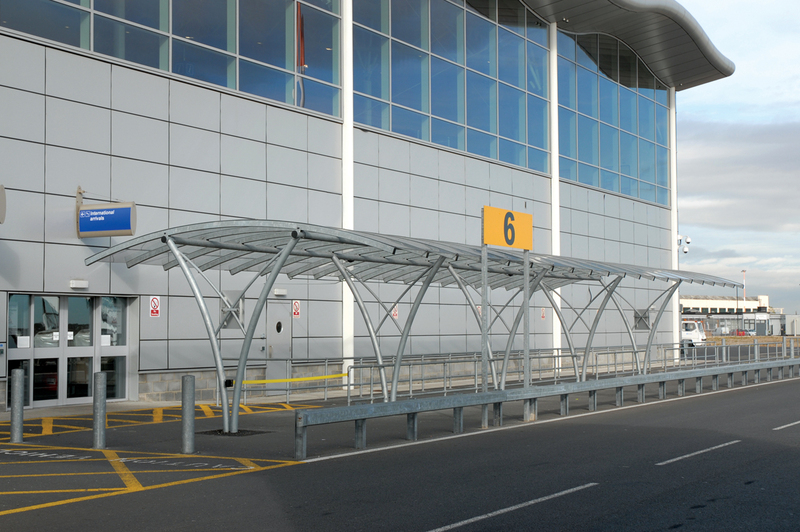 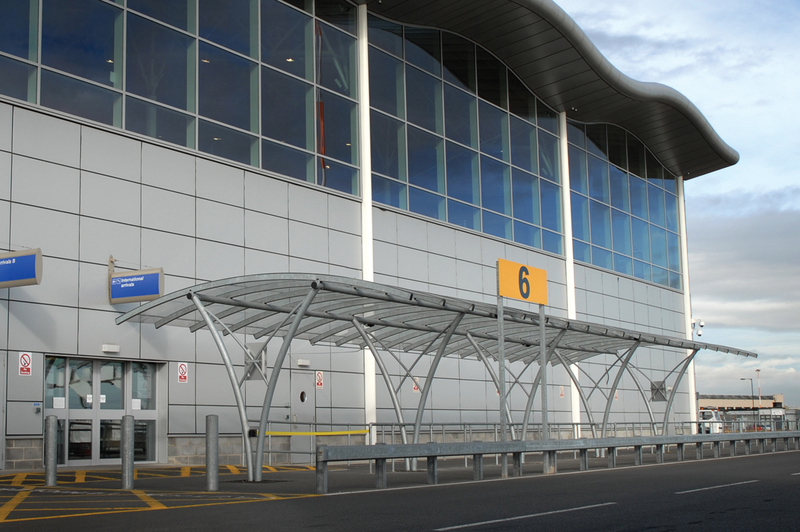 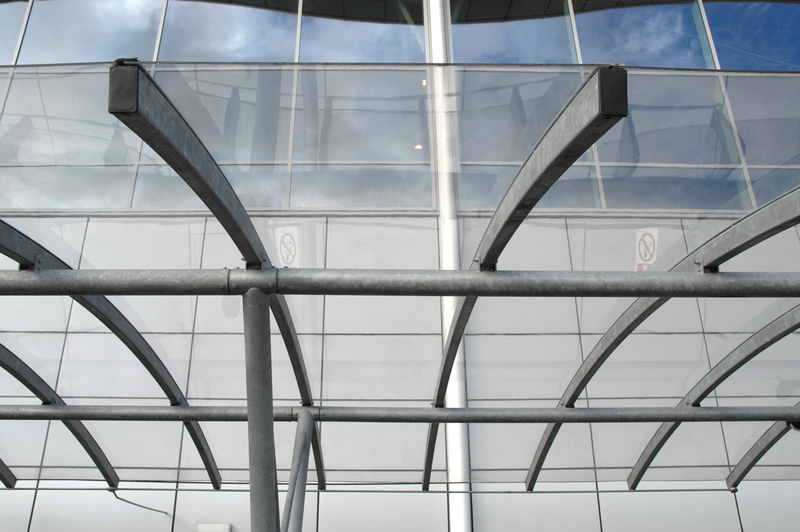 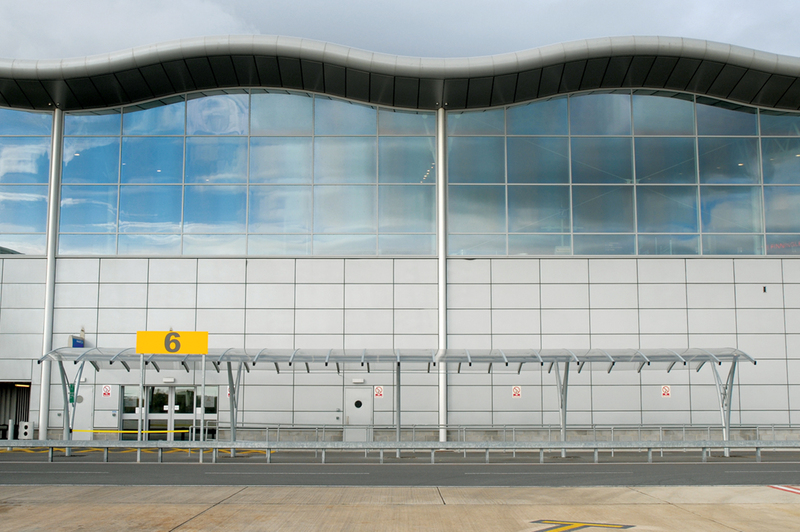 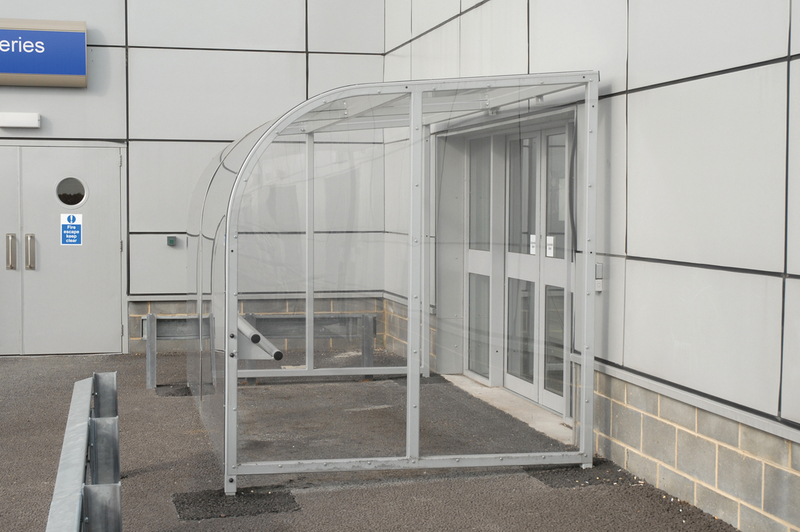 The Airport chose a Cambridge style Broxap canopy in a simple galvanized finish with polycarbonate roof panels. 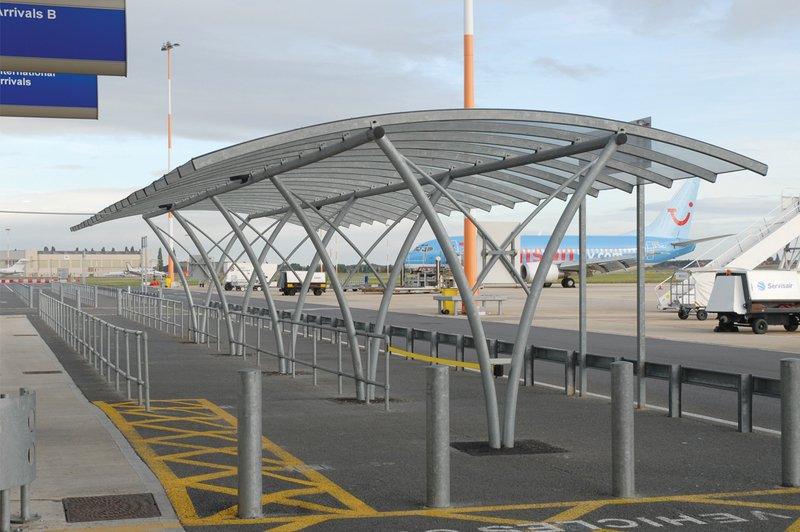 This fitted well with the existing buildings facade and allowed pedestrians beneath shelter whilst the minimal curved supports allowed easy access beneath the canopy to and from the terminal doors. 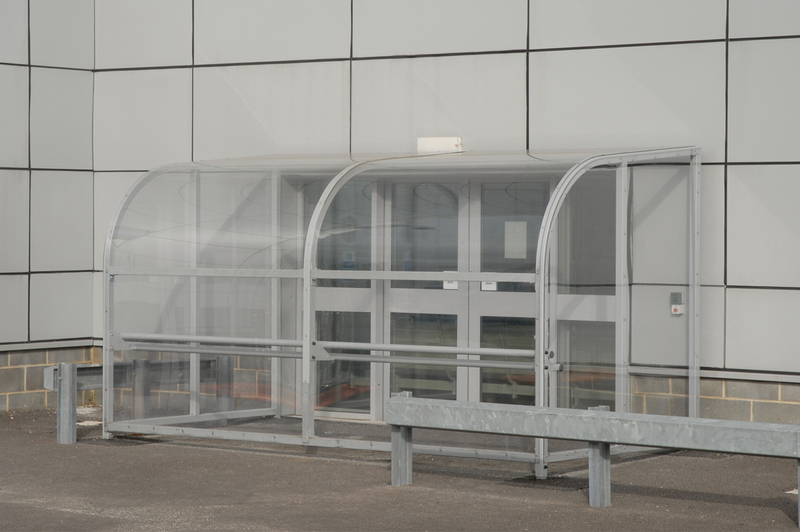 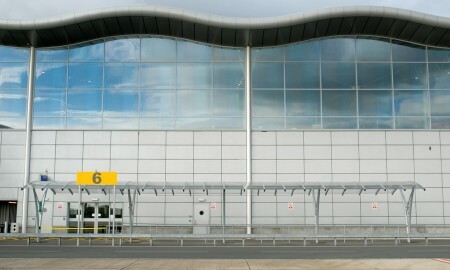 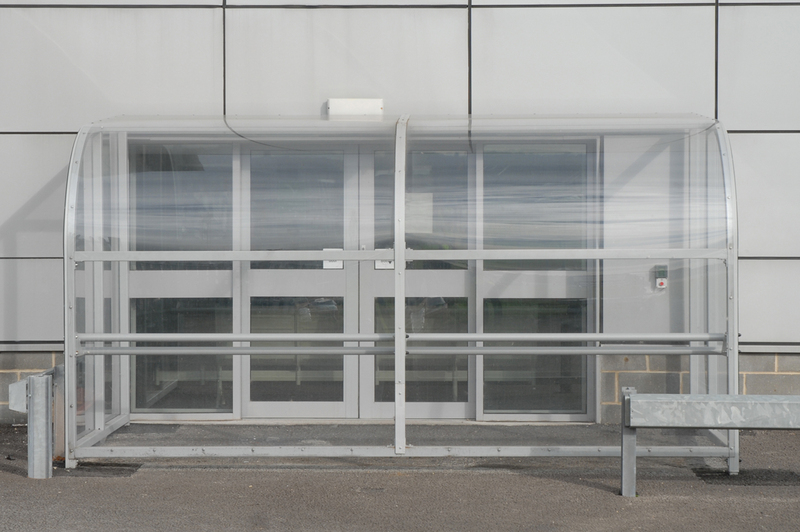 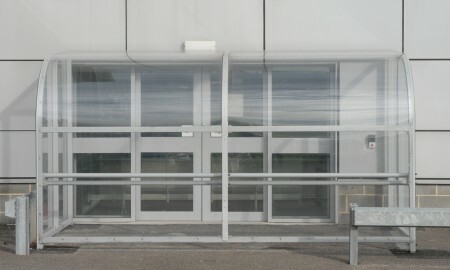 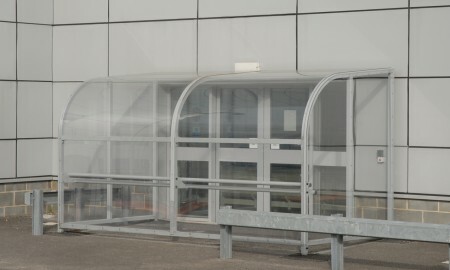 A second shelter was installed at the rear of the terminal to allow a small amount of smokers to leave the main terminal building and smoke ‘out-side’ but with weather protection. 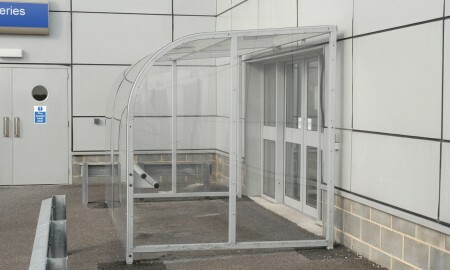 The shelter was a configuration of the Harrowby Shelter.